Saturday Morning mid November was eating breakfast at my hostel in Singapore, when the owner asked me what were my day plans, I answered Batam. He said there are demonstrations there and its raining. I said great, maybe I;ll make a video of the demonstrations, Anyways from my Hostel I took the MRT train to HarbourFront MRT Station and a ferry to Batam. TIP: At HarbourFront MRT Station there are different ferry companies, you might want to check the departure times and the cost. 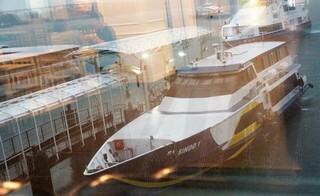 I took BatamFast, the round Trip cost was $50 Singapore Dollars. It took 45 minutes one way to Batam Center ferry terminal. 1. On youtube and online forums I read about people facing issues with Indonesia Immigration and long lines. All baloney. I went in November and was in and out of immigration in less than 5 minutes. 2. You can get by with Singapore Dollars every where. Not True, you will need Indonesian Rupiah. At Batam Center ferry terminal I changed $25 Singapore Dollars to Indonesian Rupiah which was plenty for a days trip if you are not going to do any shopping, and once outside the center I took a Cab to Maha Vihara Duta Maitreya Temple. 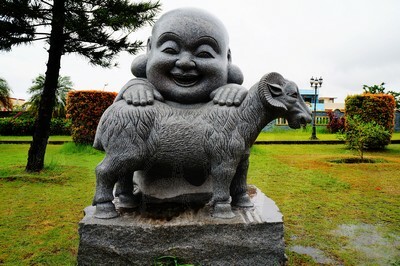 Its a Buddhist temple. The cab cost was about $5 or $7 and it was less than 10 minutes away from the center. To the cab driver just say Vihara and he'll take you there. 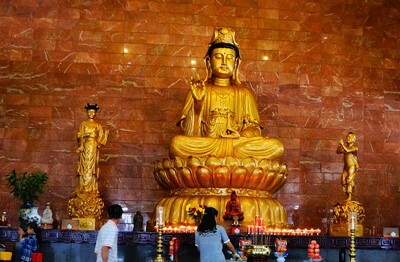 At the Temple there are three Large prayer halls and beautiful courtyards with statues of Laughing Buddha in the yards. Above Photos of the 3 Halls. 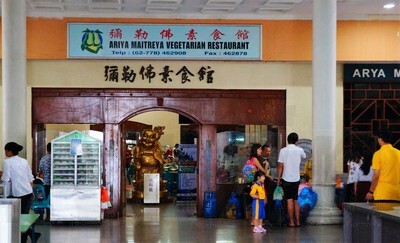 The Temple Complex also had a Vegetarian Restaurant, the food was not expensive and delicious. About $2 for food. 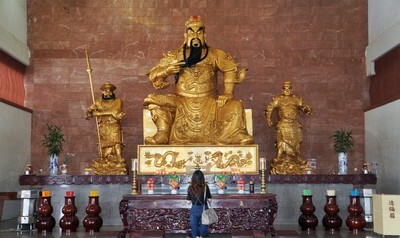 I spent an hour and a half at the Temple including the time eating. 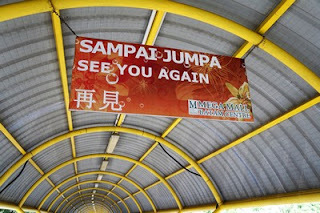 There is also a Gift shop at the Temple Complex, After that I took a cab to drive me around Batam, and later drop me at the Ferry Terminal. My ferry on the way back there was an hour wait, and I visited the Batam Mega-mall for 45 minutes. There is a walkway from the ferry terminal to the Mall, seems like there might be people visiting Batam for the sole purpose of shopping. The Mall is huge. 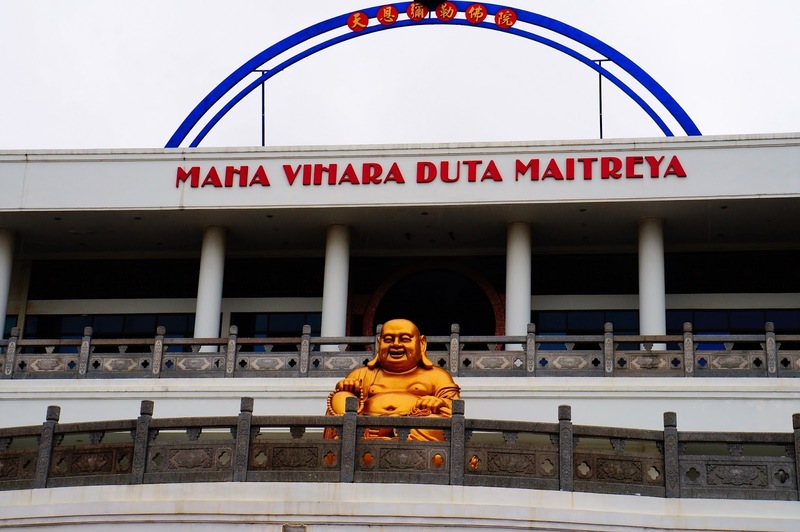 There is a waterpark and other things to do in Batam, none of those interest me, Vihara was my main focus for the trip and it was worth it. I was not able to spend all the $25 Singapore and still had change left over. 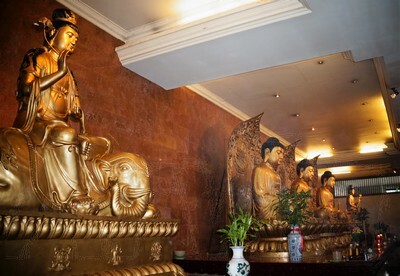 Interesting, good I came across this site I am planning a visit to Asia early next year. Why is there a myth that Singapore dollars can be spent in Indonesia though, I mean what is the connection. Well Batam being so close to Singapore and lots of Locals and tourists take day trips, mostly for shopping, its a general assumption that one can get by with Singapore dollar. Which might be okay if all you are doing is get off the boat and walk to the Batam Mall, if one is to visit the city Indonesian Rupiah is needed. Hi.. I really like your blog. I had an experience in my last trip to Peru, I'll really love to share. I wish to know if it can be published here. I will appreciate response. Nice blog. Thanks for great work. OK I get it now, thanks for the clarification, I will check the place out after visiting Singapore since its not far from there.